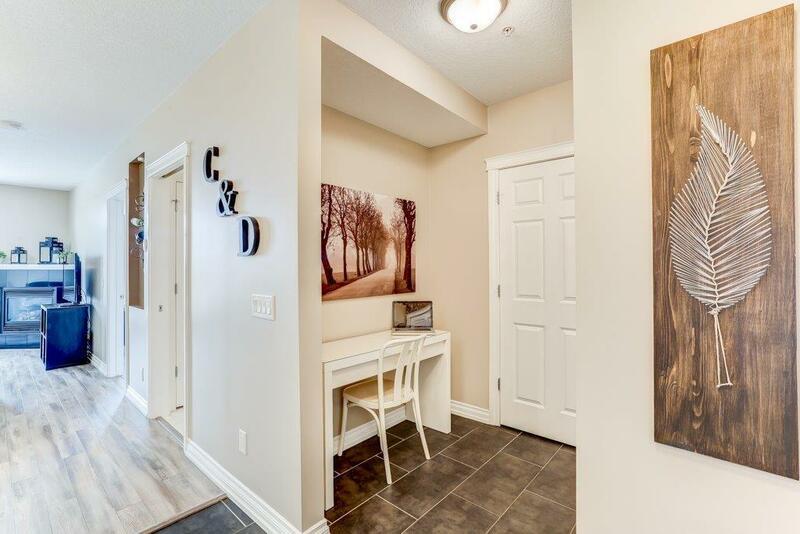 Welcome to this BEAUTIFUL bright 1 Bedroom unit in the highly sought after "COPPERWOOD" complex in SPRUCE CLIFF! SOUTH FACING with lots of NATURAL LIGHT. 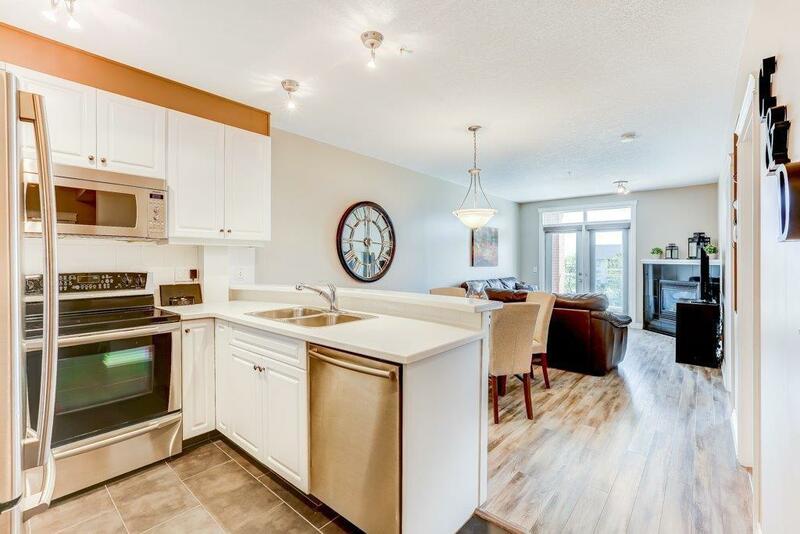 The beautiful WHITE KITCHEN and open concept floor plan won't disappoint. 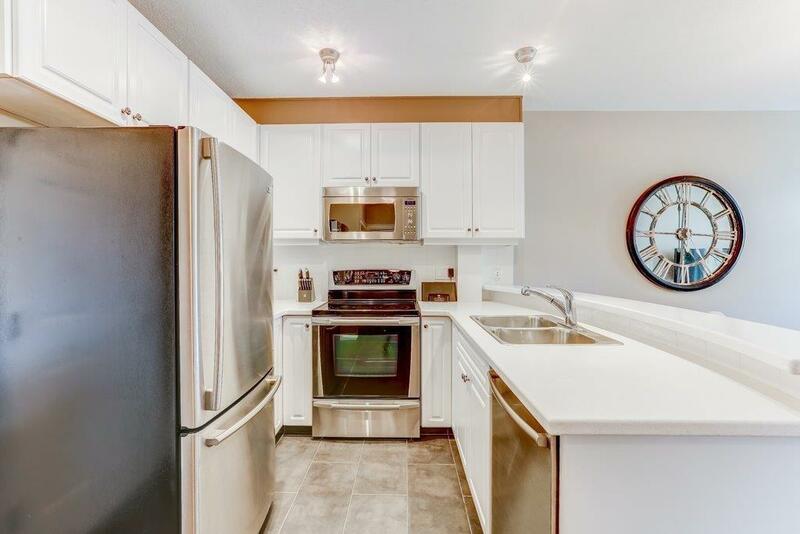 STAINLESS STEEL appliances, eat up bar and good amount of counter space. NEW HIGH END LAMINATE FLOORING throughout the dining area and living room. Cozy up to the FIREPLACE this winter and enjoy BBQ's on the good sized patio with a GAS LINE all year round. One TITLED PARKING stall, SEPARATE STORAGE LOCKER and BIKE STORAGE AREA. Some of the fantastic AMENITIES include a FULL GYM and LOUNGE/PARTY ROOM. Condo fees include HEAT AND WATER/SEWER. 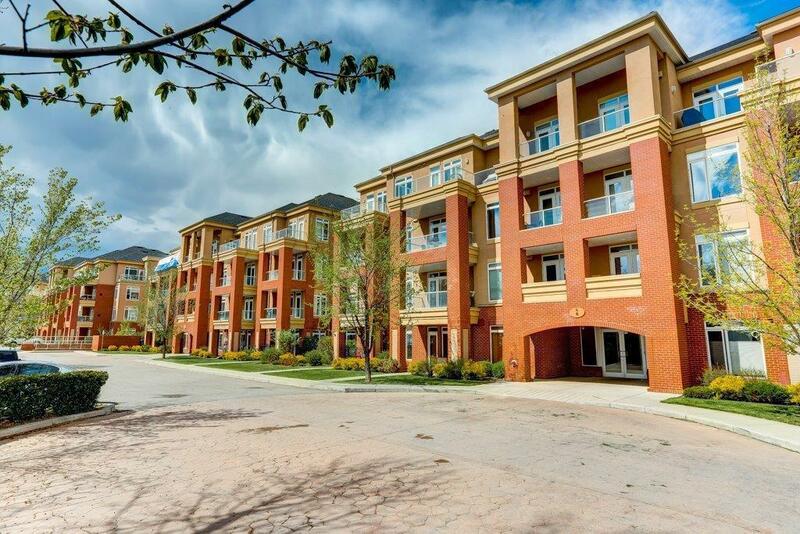 GREAT LOCATION - located MINUTES TO DOWNTOWN, walking distance to the C-TRAIN, GOLF COURSE, BIKE PATHS, SHOPPING & RESTAURANTS and much more!